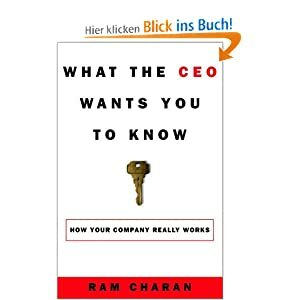 The book explains the universal laws of business, the set of fundamentals that business people successful apply everyday in every business situation. The assumption from Ram Charam is that a CEO shares the same business language and thinking with a street vendor: they need to figure out what to buy based on what they think they can sell, what prices to charge and be able to adjust the prices as needed. There is this special biologist word we use for ‘stable‘. It is ‘dead‘. This is the third in a series of articles providing a chapter-by-chapter in-depth “book club” reading of Tom DeMarco and Timothy Lister’s book “Peopleware”, 2nd edition. Part 3 is dedicated to find and nurture the right people. One common mistake is to hire people who can uniform with the team or the company (I experienced this in several interviews) but the person who matters most is the one who doesn’t think like all the rest. “The need for uniformity is a sign of insecurity on the part of management “. “When I hire somebody really senior, competence is the ante. They have to be really smart. But the real issue for me is, Are they going to fall in love with Apple? Because if they fall in love with Apple, everything else will take care of itself. They’ll want to do what’s best for Apple, not what’s best for them, what’s best for Steve, or anybody else. This is the second in a series of articles providing a chapter-by-chapter in-depth “book club” reading of Tom DeMarco and Timothy Lister’s book “Peopleware”, 2nd edition. The second part concerns the work environment. The authors demonstrate how there is a direct relation between job performance and the office space. A worse environment means less work done. How do you recognize a bad space? When people stay late or arrive early to be able to work in peace. The top performers’ space is quieter, more private, better protected from interruption and there is more of it.